On June 30 - a Thursday - Rodrigo Duterte will be inaugurated as the sixteenth President of the Philippines. On the same date, Leni Robredo will also be inaugurated as the fourteenth Vice-President of the Philippines. However, news broke out today that the two will be having separate inauguration ceremonies. 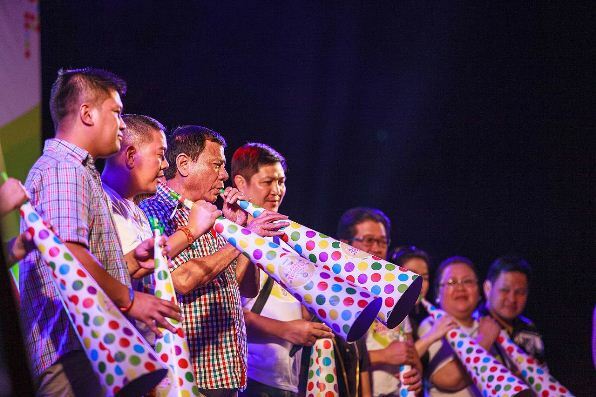 The Robredo camp released a statement claiming that the Duterte camp has informed them that the Davao City Mayor would prefer to have a separate inauguration ceremony. Boyet Dy, the head of Robredo's transition team said that they were directly contacted by the Duterte camp. Dy added that they have been preparing for a joint inauguration but they respect the Duterte camp's request. That said, they will be preparing for a separate, simple, and modest ceremony. It's still unclear why Duterte wants to have a separate inauguration ceremony. According to Dy, they received the advice from the inauguration committee on Tuesday afternoon. As per Robredo's request, she will be sworn in as Vice-President by Ronaldo Coner, the barangay captain of Punta Tarawal which is among the poorest, smallest, and farthest barangays in the whole province of Camarines Sur. Robredo is the current Congressman of the province. As for Duterte, he will be sworn in in Malacanang Palace by Maria Lourdes Sereno, the Chief Justice of the Supreme Court of the Philippines.